Compare such language with the clarity of honest writers in our field. With them one knows exactly where one stands and it makes it extremely easy to respond, to agree or to disagree. In psychotherapy we need people of such sincerity because the damage caused by the others is immense. Here follows a simple illustration of what I have in mind. Anna Freud (1965) makes a number of clear and categoric statements, for example: ‘When a child complains about excessive boredom, we can be certain that he has forcibly repressed his masturbation fantasies or masturbatory activities’. No academic ambiguities there. The straightforwardness of her assertions makes it simple for us to declare that we believe otherwise. We have already declared we have to be suspicious of all generalizations and submit them to scrutiny. As I do not want to get involved in any theoretical argument, I am mentioning here only simple psychological facts. Also speaking about childhood, Kohut asserts that wanting to be admired and recognized is the top priority for the children. Of course, that claim supports his theoretical position regarding grandiosity and narcissism. But if the reader replaces ‘wanting to be admired’ with any phrase of his choice, such as ‘wanting to be loved’ or ‘wanting to feel safe and protected’ or ‘wanting to feel free to do what he wants to do’, the phrases may still make a lot of sense. They would not, however, bolster Kohut’s hypothesis. Overemphasizing one fact, no matter how true, will make for a one-sided theoretical structure. I believe we have the right to demand that those who wax so eloquent about the theories that should govern psychotherapy should have a solid basic knowledge themselves and do everything possible to enrich that knowledge, particularly where vital areas are concerned. There is much evidence, however, that many do not. As stated, many writers, staying safely in the realm of theoretical speculation, do not betray evidence of actual clinical expertise. For those theorists to turn out book after book about therapy, they should certainly have a measure of expertise in its basics. Again, let us choose a simple example: transference. I assert categorically that individual therapy is insufficient for a full understanding of transference in all its dimensions. Analytic group therapy has been around for many decades. There is a vast literature concerning the multiple transferences in such groups and the crystallization of the transferences that allows for far more understanding than individual therapy, where all transferences are projected on one analyst. For instance, claims by the theorizers notwithstanding, an individual male analyst cannot evoke sexual female transferences to the same degree as can an attractive woman in the group. Only the expert psychotherapist, a rare specimen, is close to understanding the human psyche and is thus capable of recognizing the faulty premises of research studies and theories. When, for instance, we speak of introjected images, we are speaking of verifiable psychological realities. However, most concepts used freely in psychotherapy writings and research studies are abstractions that do not represent facts. Once such concepts and abstractions are used, we find ourselves in a different dimension not related to reality. Yet for almost a hundred years now we have attempted to repair, rearrange and reinvent faulty theories—and the patchwork still does not work. The denizens of Dimension II, with their endless intellectual discussions and disputes based on faulty premises and abstract concepts, have created special cultures of their own psychodynamic, psychological and psychiatric jungles, each with its own jargon—in which even the untalented and least knowing can operate comfortably. It is a safe haven, free of the realities, concerns and priorities of Dimension I and blithely unconcerned with human suffering. Creating these artifacts—that is, these abstract concepts—and moving them around may have an intellectual appeal for some and may indicate certain propensities in them. These people may join a chess club and develop chess theories. But, alas, there they will have to apply their theories to the game, something they need not fear when writing about psychotherapy. In contrast, the temporary hypotheses of the clinician who works within the confines of Dimension I are based on his understanding of the individual patient. They take into account the experience he has gained from other patients and has learned from other clinicians. He bears in mind, and may tentatively apply, theoretical positions developed by himself or by clinicians whose observations and thinking he considers to be of merit. We are repairmen. When you bring your shoes in for repair, the repairman examines them and tells you what they need—new soles or heels or what have you. But dogmatic therapists and theoreticians know what is wrong beforehand. The patient is made to fit into the theory. If those ‘professionals’ had the necessary acuity and talent, they would not be writing what they are writing and their priorities would be vastly different. I have spoken of our calamitous system of systems and of our pharisees and apparatchiks, all formidable obstacles to improvement. Am I the only one to complain? No, I am not. Let me quote from an article in the Science Times of 30 September 1986. It discussed a report of the American Council of Learned Societies that examined the quality of articles published in scholarly journals. The Council asked whether those articles represent scholarship exploring new intellectual ground. Of over 5000 scholars polled, 71 per cent responded. Most of them answered in the negative, stating that ‘pioneering voices were often overlooked in favour of conservative opinions sanctioned by the academic establishment or trendy views already approved by powerful intellectual in-groups’. Moreover, ‘a frequent complaint was that when younger scholars seek university tenure their writings are often weighted for quantity rather than quality’. And further, ‘There is pressure to publish, though there is virtually no interest in content.’ It is far easier to be published, the survey found, if the research or scholar is on a prestigious campus or uses ‘currently fashionable’ ideas that do not upset the establishment elders. About one-third of the respondents said that they rarely found articles of interest, even in leading journals. Finally, ‘The fact that three out of four respondents considered the procedure biased in favor of certain groups leaves little question about the need for reform’. prestigious hospital. In no way am I implying that a therapist, no matter how accomplished, cannot have failures. Never, however, in any of his many writings, does this man mention any failures. All we hear about from him is the outstanding value of his generalizing theoretical position and the benefits to be derived from its application to one and all. Maybe so. Rather than his theories, though, I would prefer to have a detailed clinical report on his treatment of the woman, what he thinks went wrong and what new approach, if any, he would take were he to continue treating her. And all that, please, for a change, in clear language that does not require prolonged meditation on what the precise meaning of what he says could possibly be. One more point: the woman mentioned that the doctor seemed to have few patients. How could it be otherwise? With all the administrative, teaching and supervising duties, the lectures both in the United States and abroad, attendance at national and international conferences and the preparation of so many books and articles he has little opportunity for regularly scheduled psychotherapeutic work. Why is it, as Stanley Lesse also asked, that those who have little exposure to clinical work with patients are the very ones who pontificate abundantly and claim to know the workings of the human psyche? On the other hand, few psychotherapists who devote themselves to a full-time practice with patients inundate us with lectures and writings. Of course, they have a much smaller chance of having their works accepted by journals and book publishers than do those with prominent academic positions, no matter how ignorant the latter are. For a brief paper, W. W. Meissner created a title so apt that it is bound to go down in history. I have no intention of following the cogent line of thinking he developed in his paper but I will use his title for my own purposes. 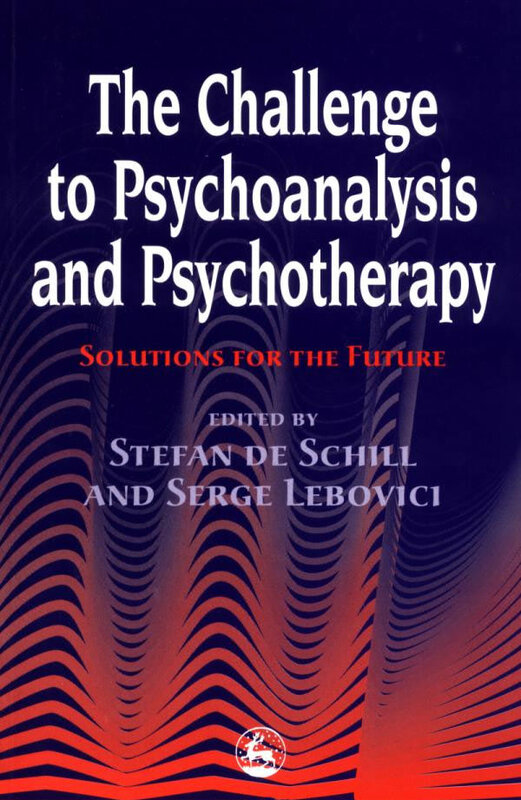 He asks: ‘Metapsychology, who needs it?’ My answer is simple: the academic theoreticians who would otherwise have no way to muscle their way into psychotherapy. As is frequently the case in matters psychoanalytic, J. LaPlanche and J. B. Pontalis (1967) offer the best definition: ‘Metapsychology constructs an ensemble of conceptual models that are more or less far removed from empirical reality’. The Swiss psychoanalyst and theoretician Olivier Flournoy (1994) correctly points out that metapsychology leads to the possibility of ‘viewing the psychical apparatus as identical in all people’ and to the possibility that ‘anybody could declare himself a psychoanalyst since it does not require experience’. Even though the following statement usually provokes indignant outcries, it is certain that while there is little overlap between Dimensions I and II, the boundaries between Dimensions II and III are practically non-existent. As expert clinicians know, too many psychotherapy and psychology studies and writings are far removed from clinical reality and lack the proper premises. What may seem an acceptable statement to the psychotherapist of little knowledge and the freewheeling theorizer is an abomination to the clinically experienced expert. Rather than revel in grandiose speculations about childhood development, the theorizers should first have learned the ABCs of psychotherapy and become acquainted with the tangible realities—that is, they should obtain the clearest possible picture of the patient’s inner world and understand the forces operating in it. And they should do that not by using the terms of high-sounding theoretical abstractions but by using the language of the unconscious, as found in the feelings and dreams of the patient. When we use the language of the unconscious, we are dealing with emotional forces and images found in dreams—some helpful, some frustrating, some terrifying. Some are seen and some are only sensed, as they are lurking in yet unexplored regions. If the therapist consistently employs the language used by the patient’s unconscious, then, as treatment progresses, what has been hidden gradually emerges. Injecting prefabricated theory in the dealings with the patient will obscure and vitiate the process. The proposed correct proceeding, however, can only be engaged in by a psychotherapist with talent and sensitivity. It is no wonder that so much of our literature is, in effect, an immense warehouse of ready-made crutches for those of little talent: theoretical fabrications that are trapped within the confines of their own limited systems. Even when the theories try to break away from the problems and postulations of prior dogmas, they remain deeply enmeshed with the past constructs and mostly do not represent any noteworthy new insight in regard to the real psychological apparatus. Some of the theorists who are eliminating parts of the old dogmas are now being hailed for their great achievements. We must not forget, however, that at all times and without any fanfare, competent psychotherapists have worked successfully without subscribing to the theoretical components now being shed with so much self-congratulation. As I have stated, many of the theoreticians are incapable of dealing clinically with the most important elements of the unconscious and thus of psychotherapy. They assiduously avoid them, shrewdly building their constructions in safe, distant and facile areas. Of course, they do find enthusiastic admirers among the therapists who feel secure in ‘intellectual’ realms but are deaf and dumb about matters of the unconscious. In an interesting volume, Joseph Reppen (1985) has assembled exhaustive essays examining the work and the positions of 14 well-known theoreticians. Eleven, among them the more ‘important’ ones, have nothing to say about dreams. The other three refer to dreams only tangentially, in connection with some major themes being discussed. The same phenomenon is evident in practically all theoretical treatises. The scholastically inclined of all ages ignore the essential and relish in masquerading their trivial intellectual artifacts as issues of importance. We could easily use 10,000 men like Nathan Leites to cut through the verbiage and expose the fuzziness of language and thinking. Leites, greatly admired by Greenson, Stoller, Klineberg, me, and others, had the outstanding intelligence and infinite patience to dissect and expose the vacuousness of the writings of many well-known theoreticians. Boileau has stated: ‘The man who thinks clearly, writes clearly.’ We need no other indictment. Freud emphasized the prime importance of dreams in analysis. Harold P. Blum has expressed the opinion that patients who cannot provide dreams cannot be analyzed; when there is no dream to interpret, there is no analysis. Those positions mean that the analysts who cannot properly deal with dreams—and that includes the practitioners who merely use prefabricated interpretations—cannot be considered true therapists. Where does that leave the theoreticians? And where does that leave their patients? The practice of far-fetched speculation and pretentious ‘scientific’ claims is by no means reserved for metapsychologists. We find such abuse in all areas of psychotherapy, psychology and mental health. Likewise, uncritical acceptance of valueless and misleading academic studies can be found among professionals everywhere. Such credulity sadly reflects on the lack of expertise of those professionals. Let us look at one example out of innumerable instances. A work of close to 900 pages by three psychologists who also practice behavior modification, Klaus Grawe, Ruth Donati and Friederike Bernauer (1994), recently caused a sensation and found much acclaim in Germany. It would easily take ten times as many pages to refute, one by one, the misconceptions, errors and ludicrous conclusions of the work. It is an outstanding example of the disaster that is bound to happen when ‘professionals’ who have a purely academic orientation but lack the necessary psychodynamic background, as well as comprehension of and sensitivity for any form of meaningful psychotherapy, set themselves up as arbiters. The book starts out on the wrong foot and goes downhill from there. Let us look at the title and the first sentence of the book. The title, translated into English, reads Psychotherapy in Change: From Confession to Profession. The desire for sensationalism and the simple-minded framework of the authors can be detected right there. To claim that an intelligent, sophisticated method such as psychotherapy started out as a mere ‘confession’ is a blatant untruth. The first sentence reads: ‘Who loves psychology, has often reason to be ashamed of psychotherapy.’ Why, one must ask, would a psychologist be ashamed of psychotherapy? Psychotherapy is not an offspring, or a relative, of psychology! Psychotherapy owes nothing to psychology. On the contrary, psychotherapy, when and where it has been incorporated by psychology, has given it life and enriched its barren regions.